Wheelwright LTD (formerly Alcar Wheelwright), holds not only a position as one of the longest established, but also one of the UK’s leading alloy and steel wheel distributors. With over 35 years experience in the Alloy Wheel and Tyre business, we are seen as the oracles of all things wheel-related. From our purpose built warehouse facility in Gillingham, Kent, we supply automotive retailers with the largest choice of wheel styles available from one supplier. We offer an unrivalled selection of top quality Alloy Wheel brands including: Calibre, DRC, AEZ, Dotz, Dezent, Enzo and MAK. We have also expanded our wheel range to include Alcar Steel Wheels, ideal for the winter market. Formerly a subsidiary of the Alcar Group of companies, and still intrinsically linked to the European HQ of Alcar, Wheelwright are best placed to offer an unrivalled standard of product, service, marketing support and after-sales support. Calibre: Award-winning styles for contemporary, retro, motorsport, commercial and VIP applications. DRC: Affordable OEM-inspired styling for a wide range of vehicles. AEZ Leichtmetallrader: Innovative, exclusive designs. Dezent: Classical, individualism through design. Dotz: Tuning, young and trend driven. MAK: Wheelwright are the sole nominated distributor for Italian Mak Alloy Wheels in the UK. We offer a full wheel program for almost all cars: Alloy wheels in over 60 designs in a broad application portfolio, covering everything from town run-arounds to off-roader’s to supercars, in single and multi-piece wheels from 13 to 22″. Alloy wheels are produced in Asia, Italy and at two German production sites with the latest technology and machinery. So confident are we of our processes, some wheels carry an extended warranty period of up to 3 years, and the majority are TUV approved (the marque of stringent quality and durability testing). When you purchase an Alloy Wheel & Tyre package from Wheelwright, you can trust us to be delivering quality not only in wheel manufacture, but also with the chosen tyres. Our tyre brands are chosen from the world’s finest, including Pirelli, Michelin, Bridgestone, Jinyu and Vredestein. 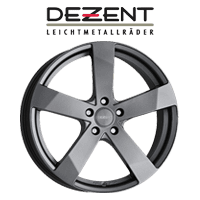 Our stock holding is second to none, with hundreds of designs, in many fitments and finishes, we rarely fail to deliver an affordable wheel solution for your vehicle. With warehouses in the UK, Germany, Austria and Italy, we offer unrivalled pan-european logistics, getting wheels from ‘mouse to house’ as quickly as the very next day. Trust us to deliver. Wheelwright offers a Europe-wide logistics service via 14 national and 2 international logistics facilities and a next working day delivery service to most areas of the UK. We have teamed up with a range of couriers for deliveries within the UK and for pan-European deliveries. We deliver national and international marketing campaigns in order to drive consumers to our registered trading partners by: Imparting sales competence – catalogues and P.O.S – Training and Technical Support – Advertising and PR – and online through this website and our Social Media presence. Our alloy and steel wheels often feature in the automotive press. Whether you are a consumer looking for examples of our press coverage; or a member of the Press looking for information for an article, you can find out more here.